Today was the final day of the Fashion shows in Milan and the lineup today went like this: Alberta Ferretti, Dsquared2, Roberto Cavalli, Versace, Versus, ending with Armani. The troops have marched onto Paris for the finale, the pièce de résistance. 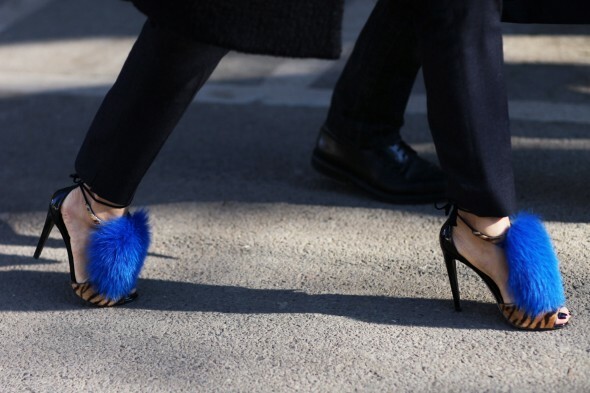 I am mesmerized by the street style blogs and the happenings of Milan –most notably the decadent accessories. Even the basic ensembles embraced the element of surprise: Take a look here for killer combinations. I am personally into florals, leopard paired with prints, and wild striking colors. Most of these photos speak directly to me. It is basically stuff I would wear myself. I have developed a fascination for the perfect outfits and have been admiring the styles of Alexa Chung, and Carine Roitfeld. Looking at all the stylists and editors, I wonder how they put together their looks so effortlessly. These looks here scream “FASHUNNNNN… look at me!!!!! !” and if nothing else makes for great eye candy, maybe a little dose of inspiration for your own wardrobes. The utterly simplistic, subtle, yet elegant look is calling my name. Chunky neon-green booties compete for most eye-catching on the street. Love the combination of excessive prints here. This look may be more editorial than street but I like the ideas and the mix. No grandmas allowed here. The one color green suit/ white shoes. Neutrals with polka dots and stripes. And finally , I absolutely adore Julia Sarr-Jamois’s look. Carefree and on point. WoW! “Electric and Electic” coming out of Milan! 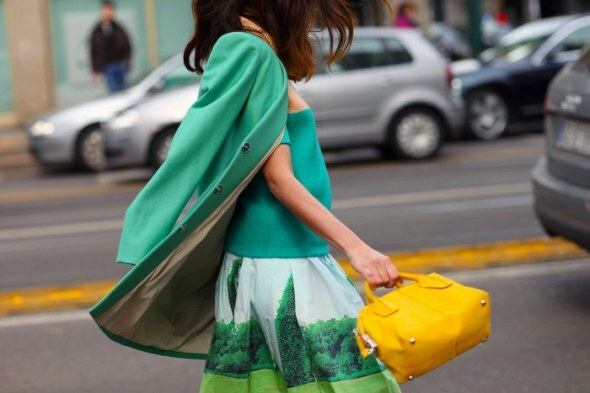 Exciting colors (at times electric) and engagingly eclectic fashion fun is fall-ing our way!